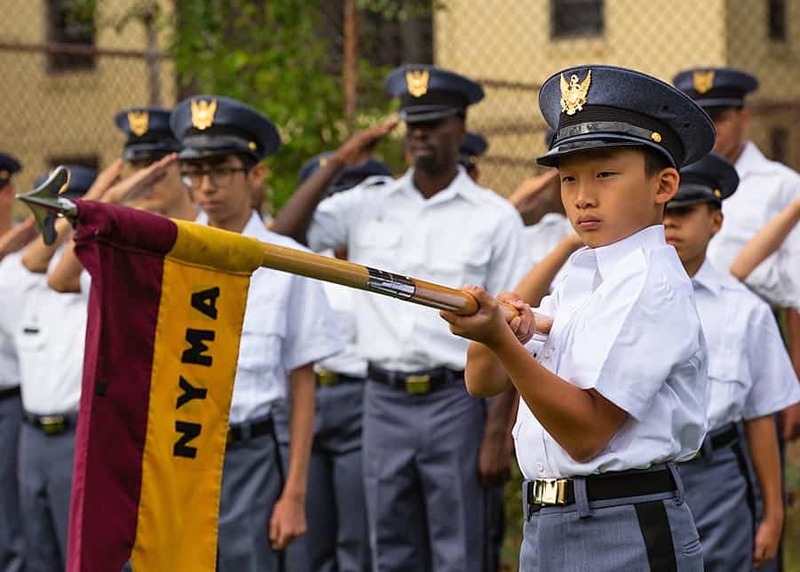 The New York Military Academy has been busy growing and rebuilding. Renovations in 2017 included a new look to the gym which included a new roof, a new floor, and a renovated exercise facility on the second floor. For our swim program, we opened our practice swimming pool at the old gym site. For our tennis program, we resurfaced three of our tennis courts; just enough to field a tennis team. We have also improved our rifle range and upgraded the IT infrastructure. Smaller scale renovations have been made to the Patillo and Riley Barracks and with the current configurations, they are now full during the summer and winter programs. In the Spring of 2018 we are also planning to retrofit Scarborough Hall with new lighting, repairs to basic infrastructure, and improvements to our facilities for integrative STEAM. This Spring we also expect to bring back NYMA's historic baseball field. We are looking for donors to help renovate our laboratories and project rooms in Scarborough Hall; we know this is a long-term project. For next Fall we expect our renovated barracks to be full for the school year and we will need to add renovated entryways for Jones Barracks. This will require both infrastructure upgrades and cosmetic repair. If any alum wants to help finance renovating their old room in Jones Barracks – please let us know. In addition to these intermediate term plans for campus renovation, we are developing a long-term plan to address the Wright Hall Site. 1) Assess its structural integrity and create a temporary plan for site stabilization while we get approval for the next step. 2) Develop a multi-year development plan for the site which uses the existing structure to the extent possible and appeals to our dominant market which is reflective leadership training for adolescents and the early college years. We are currently looking for donors and organizations to support this work and have started the Wright Hall Site Fund for this purpose. If you have any questions or suggestions, please contact Barbara O'Rourke, our long-term alumni coordinator, at borourke@nyma.org or Jonathan Gastel, Assistant Superintendent, at jgastel@nyma.org. Thank you!